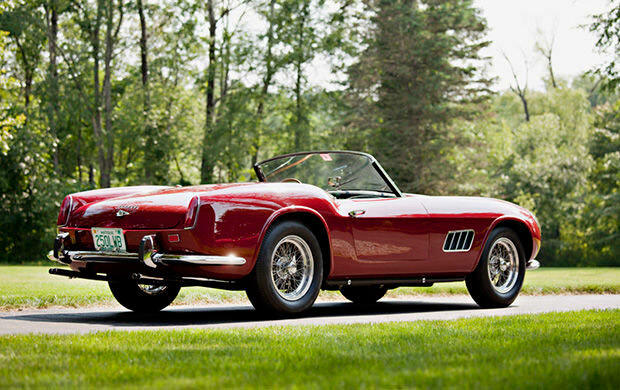 To say that the 1960 Ferrari 250 GT LWB Alloy California Spider Competizione is rare would be quite the understatement, only twelve of these beauties were produced. 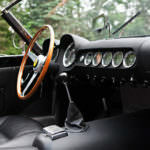 The overall weight was lightened by using light gauge aluminum in place of the usual steel hard body casing, allowing for faster trip times. 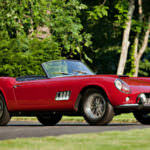 The Spider is a sleek and sophisticated convertible that is sure to please any auto enthusiast. 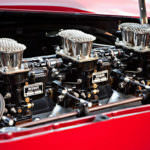 In addition to the lighter framing, other features that make the Spider a car to dream about include racing camshafts with a higher lift and velocity stacked 40DCL/3 Weber carburetors. 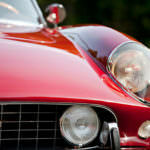 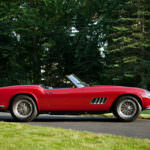 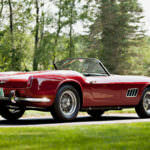 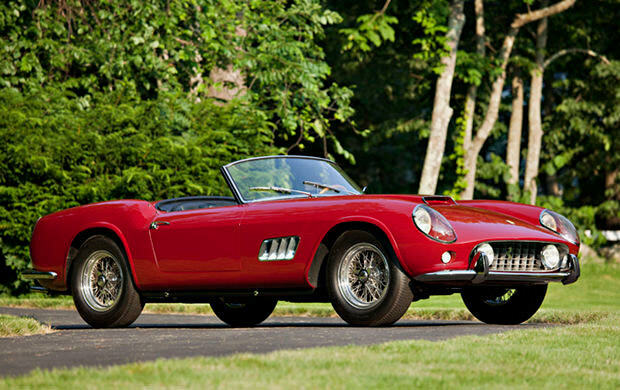 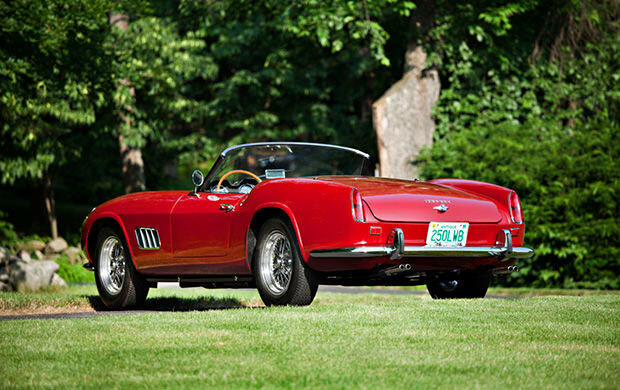 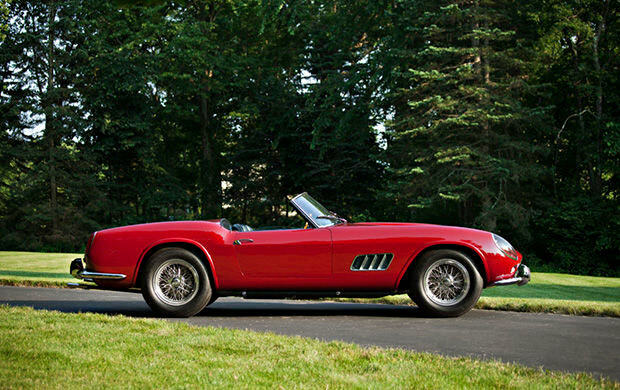 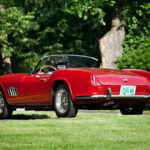 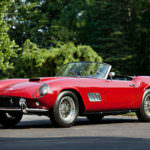 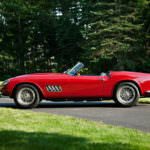 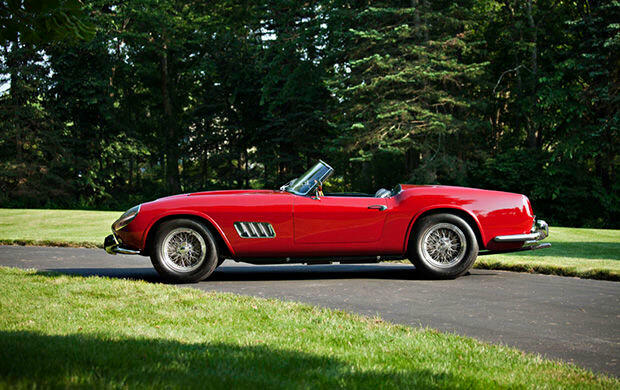 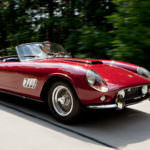 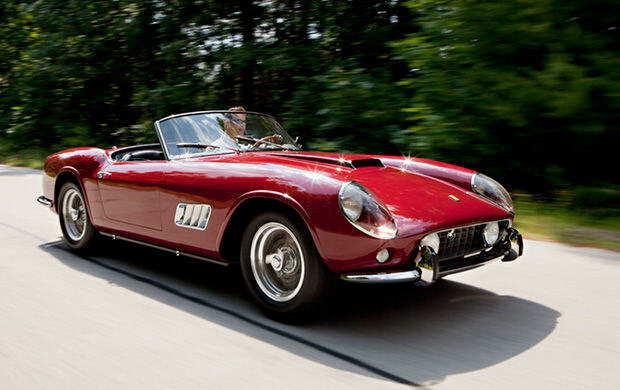 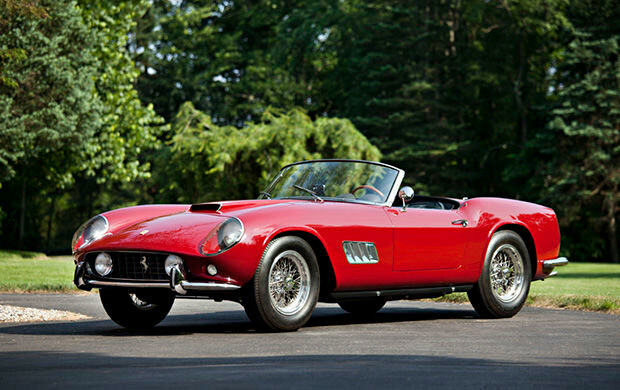 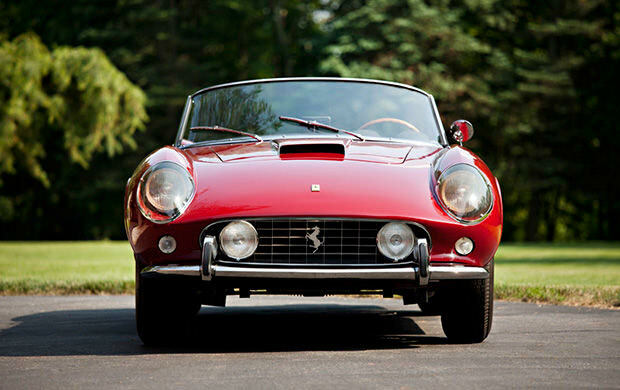 The 128F engine was frequently found on the California Spider, and boasted an impressive 7300 rpm with 262 hp. 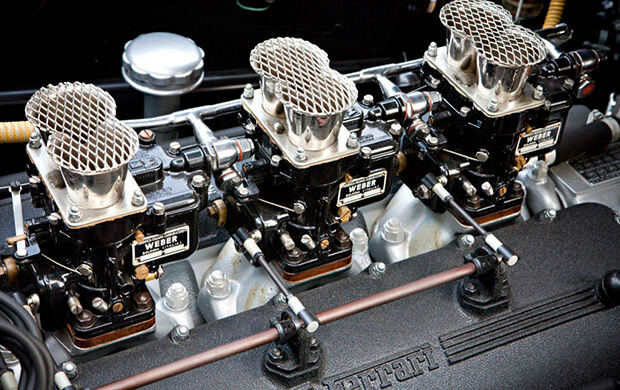 A few of the Spiders had external Tipo 168 spark plugs. 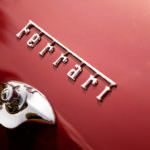 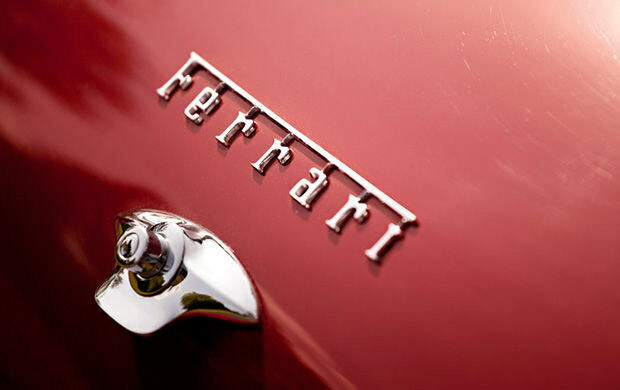 There were many performance enhancements squeezed in to reach maximum potential of this hot vehicle. 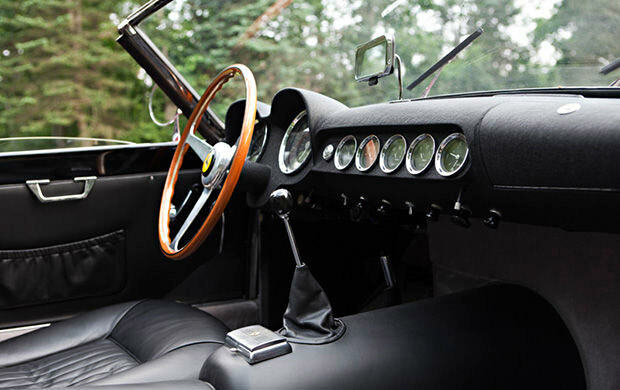 One model produced sported the 168B engine and pushed out 280 hp in 7000 rpm. 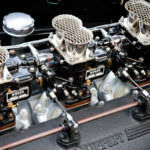 This was in part due to bigger valves and a raised compression head. 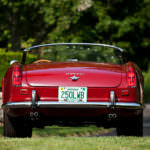 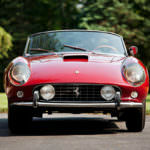 The 1960 Spider featured a double wishbone front suspension with coil springs, and all wheel Dunlop disc brakes. 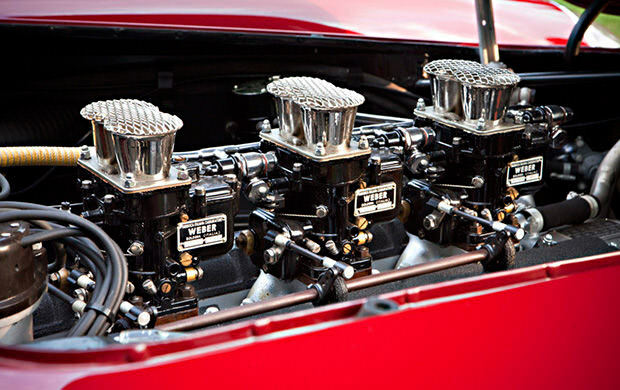 When this marvel of machinery was defined, all accounting was taken into producing a car built for speed. 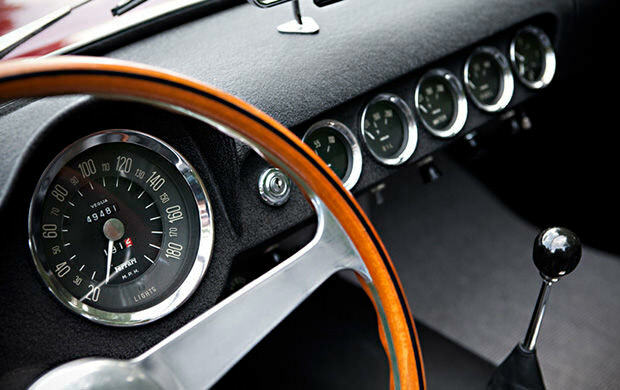 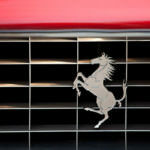 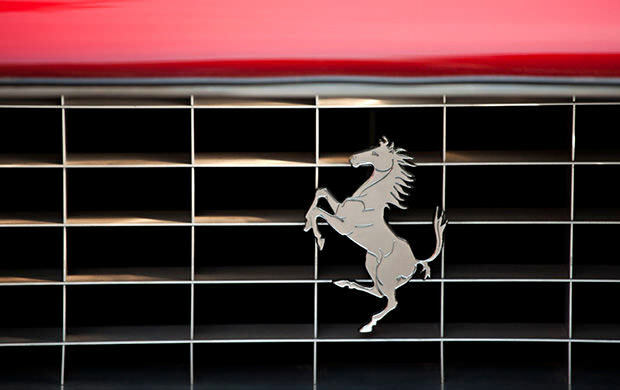 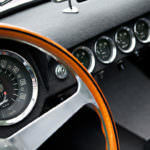 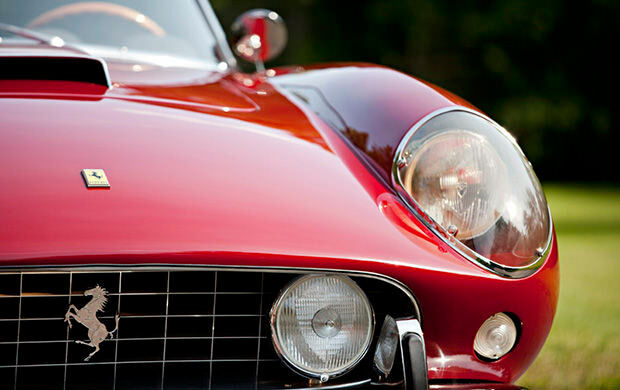 Nothing was forfeited in design or performance technique, and the long wheel base became a classic that lived up to and exceeded Ferrari standards. 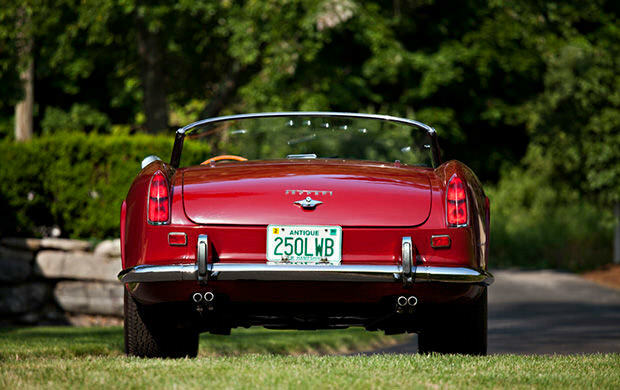 Anyone would be fortunate to feel the pulse of the engine and the thrill of the drive offered by this masterpiece.